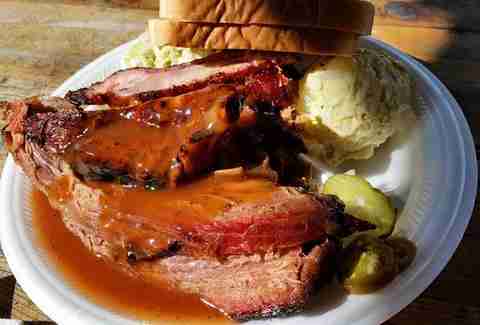 In San Antonio -- and across all of Texas -- barbecue is not simply a dining option. It is our birthright, inspiring passion and intense brand loyalty. 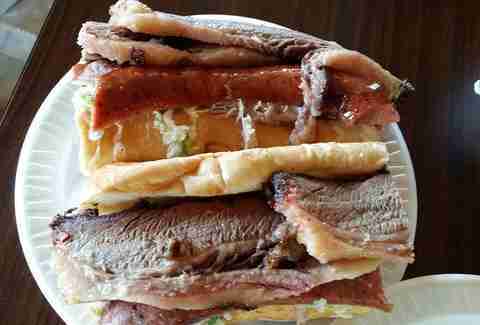 A San Antonian is about as likely to feel neutral about BBQ as about basketball. 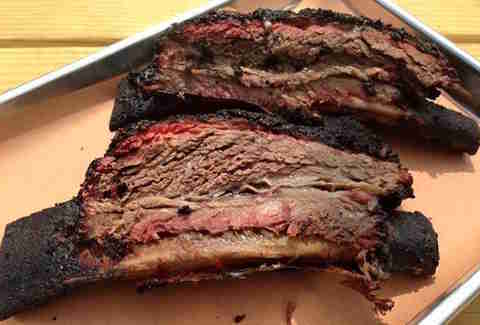 While everyone has his or her own preference when it comes to what should grace a two-meat plate, any joint that can't do brisket right -- cooked low and slow, marbled, with the perfect fat-to-meat ratio and crispy black edges -- is a disgrace to the craft. 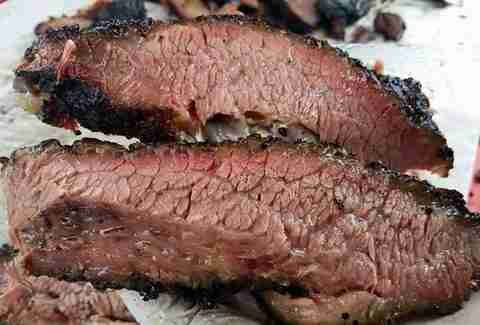 It’s not hard to find good ‘cue in the Alamo City, but the following spots do particular justice to that glorious cut of beautiful beef. While some folks in San Antonio have great affection for the well-known local chains, we’re sticking to the smaller shops for this particular best-of list. One of SA’s best new restaurants -- BBQ and otherwise -- Smoke is an ideal addition to Stone Oak’s dining scene. The area continues to be one of the city’s most densely populated, and all of those people have to eat somewhere, right? They are fortunate that Smoke came to their side of town, bringing with it an upscale, chef-driven sensibility, and a solid menu that stays true to the classics while offering some unexpected choices as well. B&D Ice House is closing in on 60 years in business. But its resurrection at the hands of the Dady brothers and Friendly Spot owner Steve Newman transformed the once-overlooked BBQ joint into a legit player on Southtown’s dining and drinking scene. Like Friendly Spot across the street, B&D is all about kicking back with a cold beer in a casual, relaxed atmosphere and watching the hipsters in their natural habitat. One thing to remember: the most popular meats on the menu do sell out, so don’t dawdle. Following a couple of false starts since being purchased from its previous owners in 2012, B-Daddy’s food truck found its groove -- not to mention a happy brick-and-mortar home in Helotes. SA’s growing Far West/Northwest side now has a worthy barbecue joint to call its own. 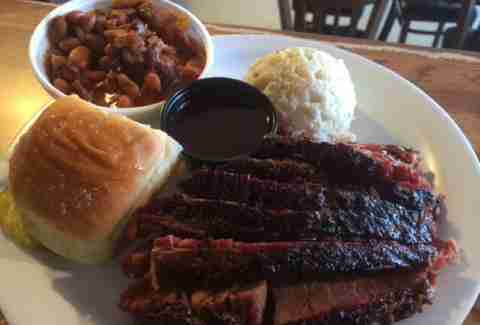 The price is nice, the pit-smoked meats and classic sides are fabulous, and the location just on the edge of the Hill Country is just right. Ambience-wise, it’s hard to find a better spot than Two Bros, with its oak-shaded picnic tables outside and extra-large double dining rooms inside. But the real star is the food -- expertly smoked meats, solid sides, a free fixin's bar with an impressive choice of pickled goodies, and three distinctly different sauces. The owners behind Two Bros -- who are, in fact, two real-life brothers -- have gotten a steadily growing amount of press since their restaurant’s 2008 launch. Fortunately, the attention hasn’t distracted them from putting out consistently delicious food. A primo location near the zoo and Brackenridge Park’s other attractions helped Augie Cortez build a large and loyal following at his original location, prompting the opening of a Downtown branch in 2014. Fortunately for Downtown diners, the lively atmosphere and deftly prepared food is as memorable at Augie’s new digs as at the original. The family behind this tiny restaurant puts a lot of heart into their cooking, and it shows. Joe’s sauce is a little vinegary and the perfect balance of sweet and spicy, a perfect accompaniment to the lovingly prepared meats. 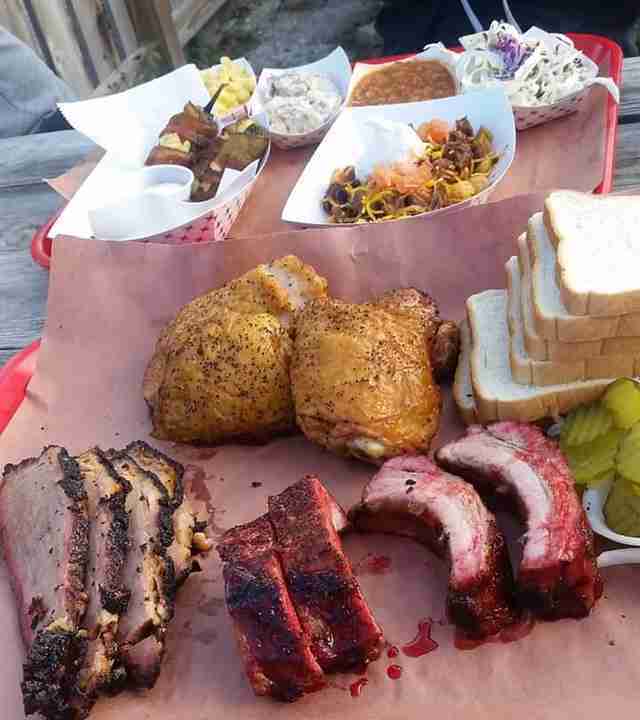 While passing on the brisket would be a sin, Joe’s delivers across the meat spectrum -- hefty beef ribs, tender chicken, standout pulled pork, and sausage. The mainstays are outstanding, but do yourself a favor and save room for a hunk of from-scratch cake or grab a piece to go. After four years of success with a barbecue food truck stationed at Loop 410 and Nacogdoches, Smoke Shack’s husband-and-wife owners took the leap to a brick-and-mortar establishment in the shadow of Brackenridge Park. Their confidence was bolstered by a victory in 2013’s Barbecue Madness tourney, at which the Little Truck That Could bested some of the biggest names in SA’s competitive BBQ biz. If the food is any indication, the Congers’ gamble paid off. There isn’t a dud on the menu -- memorable meat, sides that have some real thought behind them, and dynamite desserts, all made in house. Succeeding in the restaurant business, with a 60% first-year failure rate, is tough, and making it through the rocky recession years even more so. So the longevity of the family-owned Barbecue Station, which has been dishing up wood-smoked barbecue since 1992, is impressive. But it's no surprise to long-time regulars who dig the straightforward fare, served out of a converted Exxon station just a few minutes from the airport. The cobbler garners almost as much praise as the meat, so don’t skip dessert. Another old-timer in SA’s ‘cue scene, B & B has been smoking meat since 1984 (or 1958, if you count its previous life in the same spot as Hal’s Drive-In). The menu is broad, extending way beyond barbecue to include burgers, po-boys, and a few other assorted selections. The atmosphere is a far cry from luxe, but fans insist that B & B’s gritty simplicity is part of its charm. A variety of distinct house-made sauces and excellent desserts are a nice bonus, but it’s the meat that steals the show at The Big Bib -- just as it should be. Be ready for a long wait, as this no-frills strip-mall joint is on the small side of tiny. The long line should tell you all you need to know about the food. On your second visit, arrive in time to score some jalapeño sausage before it’s sold out. Housed in a renovated Sonic, Ed’s offers one plus right off the bat: covered parking! The dining room is cozy, and, other than the standout potato salad, the sides are forgettable. 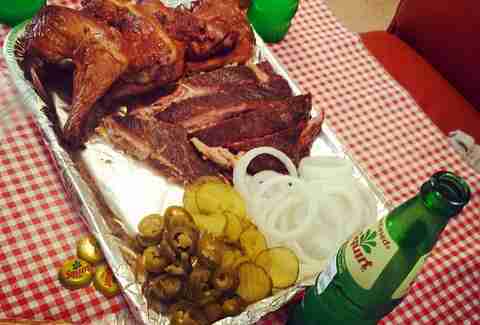 But true barbecue lovers know that when the meat delivers -- as Ed’s certainly does -- no one cares about the extras. The staff is friendly, efficient, and old school; posted signs insist that in addition to being shoeless or shirtless, wearing sagging pants is also grounds for refusal of service. 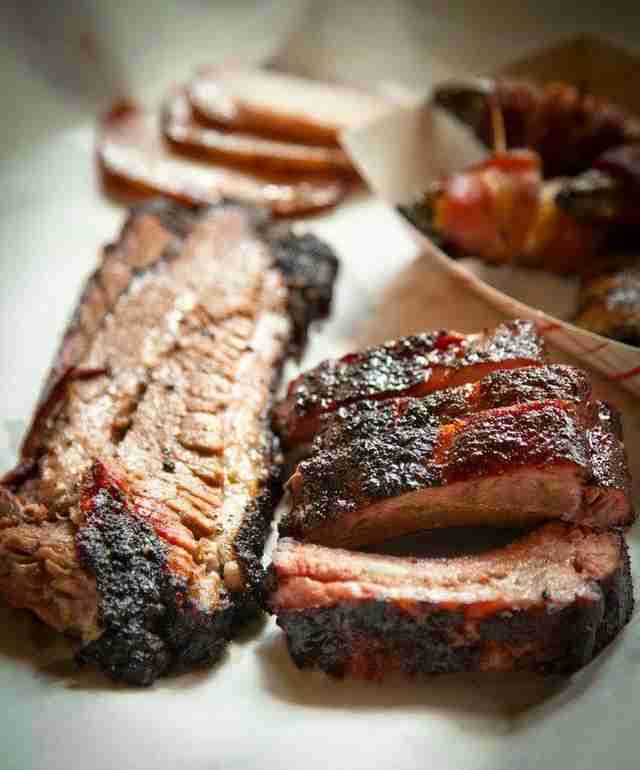 It is tempting to doubt that digs this slick can produce truly great, authentic Texas barbecue. Depending on when you drop in, you might have to alter your perception about what should be on the menu at a BBQ joint. The Granary offers such unexpected dishes as brisket ramen, flannery beef Wagyu bavette steak, and smoked pork belly for dinner. Familiarity reigns at lunchtime, however, when traditional Texas standards are served market-style until they sell out. And sell out they do, on a regular basis, because this is meat (and sides) prepared perfectly each and every time. If you don’t live or work along the torturously congested area of Loop 1604 near Culebra on SA’s northwest side, hitting up Nelson’s for its Saturday lunch service (in the O’Reilly’s parking lot) might be an exercise in frustration. The good news: this food truck is a coveted vendor at events all over town. If you’re lucky, you’ll stumble across it at a tailgate, wedding, or corporate blowout. Nelson and his magical meats and mac are elusive, but it’s worth the effort to track down. Big portions at a decent price have kept Old Smokehouse doing brisk business at the same uber-low-key strip mall for more than three decades. 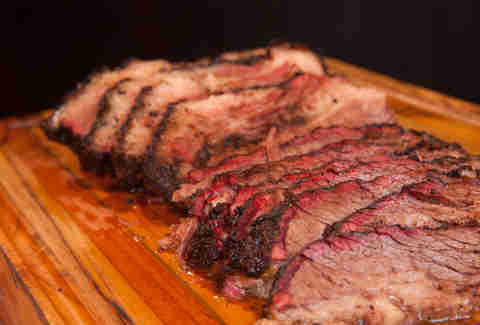 The super-tender mesquite-smoked brisket, ever-moist chicken, and efficient, friendly service don’t hurt either. Got a huge group to feed? Check out the Texas-size party packs. Can an eatery that attempts to be all things to all people churn out decent food? Apparently so. In the couple of years since the opening of its first location, Munchies has garnered a healthy following of diners who appreciate the far-reaching menu, which covers all manner of fried foods, burgers, and sandwiches. 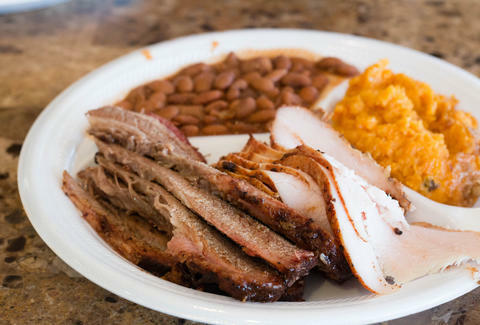 Munchies’ specialty, though, is barbecue, a genre it manages to rock despite what would seem to be a compromised focus. It’s all good, indeed -- including the price. Michelle Burgess is a San Antonio writer who was nearly buried alive after a bear attack, but clawed her way out of the grave so she could continue to bring readers the most up-to-the-minute news on where to eat and drink in the Alamo City. Follow her: @MishiBurg.